If you are in New York City, we’ll start with a hands-on Reiki treatment. You will lie fully clothed on the treatment table while I place my hands lightly on your head and torso. If we have a phone appointment, you will recline somewhere comfortable and quiet, and arranged not to be disturbed. You will likely feel more relaxed within minutes. As that relaxation deepens, your body’s natural ability to heal itself kicks in. Later, after the treatment, you will likely feel clear, centered and hopeful—more like your “real” self. Meanwhile, the self-healing process continues. This is a key benefit of Reiki treatment, and why it can help in so many different situations. 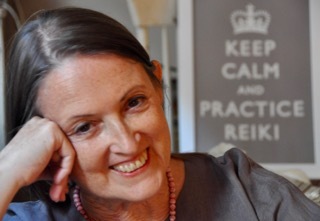 Click here to read how Reiki practice has helped others. How many Reiki healing sessions do I need? You are very welcome to schedule a single session if you choose, but I encourage my clients to consider a series of four treatments, scheduled either closely together, or on consecutive days. Although you will likely feel improvement with the first treatment, you don’t want to settle for mere improvement. Reiki treatment has the potential to create balance from the very core of your system, and if there is a chronic health challenge, this of course takes time. Please understand that each session is unique, customized according to what you need at the time, and what is possible. Some sessions involve more discussion than others. Any discussion is relevant to your current needs, such as supporting your wellness with simple lifestyle changes that interest you, and which you see as doable. If you are in need of medical care and don’t have a physician, I can refer you to doctors who will respect your interest in supporting your medical care with Reiki healing. You may choose to jumpstart a period of healing by scheduling a sequence of four or more Reiki treatments on consecutive days. This is a powerful commitment to your self-care that helps your system embark on a path to profound wellness. If you like, you can make this a modified retreat, augmenting our daily sessions with additional healing exercises to be done at home. Consider this possibility if you are ready to make a lasting shift toward living more connected to your true self, or to support yourself while addressing a life change or medical condition. Email me if you would like to schedule or have a question. I will provide the address of my Upper West Side Manhattan office when we confirm our appointment. Please note that sessions are not conducted in my home. 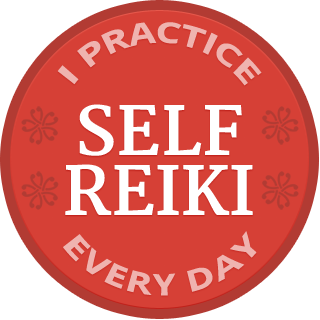 Click here to read how Reiki practice has helped other people as they address a wide range of challenges.